I have an OpenEVSE kit -- two of them actually -- and I went to use one yesterday to charge my car. I'd successfully used this OpenEVSE several times to charge my car, but this time the display showed NO GROUND and refused to work. Hurm. It did not matter which power outlet I tried. As soon as I connected the OpenEVSE to the car, it would display that message. Hurm. This morning I checked the wiring using an ohmmeter. I opened the case to expose the inner wiring so I could check the connections through the cables and to see if any of the cables had gone bad. For the J1772 cord the three connections -- two hots and a ground -- were all correct. But with the NEMA 14-50 cord on the input side, there were strange readings. Ground was not connected at all, and the two hots did not seem to be properly isolated from each other. Basically the ground wire - green - was not correctly connected to its connector. It was cut to be the same length as the others. I suppose what happened is it may have been accidently working for a few times then something happened so the green wire moved away from its connection and there was no longer a ground connection and it instead was floating kind of loosely. I'm fortunate the power outlets are all GFCI protected. Was that plug part of a cord-and-plug set? Did you buy it from a hardware store or Open EVSE? Very shoddy. I have had a kit built Open EVSE for almost 3 years. It's worked perfectly all the time for both the Smart ED lease and the scooter. Mine is mounted to the garage door frame for both outdoor and indoor-with-the-door closed charging and hard-wired to my 30A clothes dryer circuit whose 10/3 Romex runs nearby. Yeah, not quite to code. But the Smart ED has only a 3.4 kw charger so both the charger and the dryer can be used at once and the Romex becomes only slightly warm. I bought this one second-hand off eBay and it simply came that way. I don't know what the person who originally built it did. I'd built an OpenEVSE myself and in that case had used a molded 14-50 cable bought from Home Depot, and had no problem with that. After posting the above, I trimmed the copper to get fresh copper, cut the wires so the white and black were shorter than the green, trimmed the insulation, redid all the connectors, and it fits perfectly now, and this morning I tested the charger and it is fine. Good find, and the OpenEVSE did it's job! For this very reason, our local Triad EV Assn club has suggested home built EVSEs NOT be installed at any location other than where the one who built the EVSE is responsible. I have theJuicePlug kit EVSE from eMotorWerks (no longer available) and though every connection was double checked, if it is installed where my family or I am the principle users, then I am responsible to fix problems such as this grounding problem. 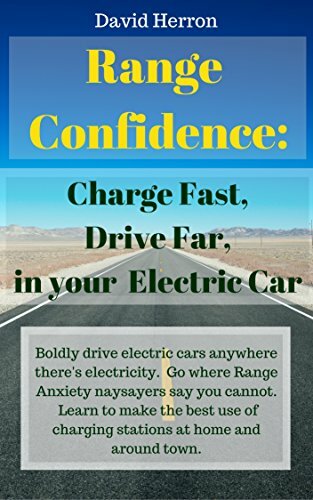 All the EV vehicles have the chargers built in you just need to supply power and communication and safety to get it to charge your EV. There are commercial units available they are expensive and not very flexible. Open EVSE will let you charge with 120 or 240 volts. This will do 3.3KW- 10KW charging. And beyond. We are committed to providing the best battery to all the People.